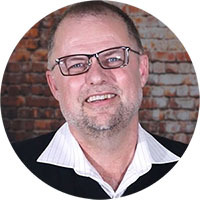 Jorgen Gullestrup is the founding CEO of MATES in Construction, Australia’s ground-breaking mental health campaign in the construction industry. MATES in Construction has reduced suicide deaths in the construction industry from over two times the national average. Gullestrup advocates a strengths-based approach that has resulted in a program with wide acceptance across the industry. He is a passionate voice for co-design that starts with listening to the audience. “I am first and foremost a plumber, and my qualifications to do this work are that I am a plumber,” says Gullestrup. The project has drawn from extensive qualitative and quantitative research, with powerful results. A licensed plumber by trade, Jorgen migrated to Australia in 1988. He was an elected official of the Plumbers union for 13 years, six as the Queensland state secretary. He became the founding CEO of MATES in Construction in 2007. He holds a Masters in Suicidology, Grad Certificate in Suicide Prevention, a Diploma in Community Welfare and Development and an Associate Diploma in Labour Studies. Megan B. McPhee is a principal with Kim Spencer McPhee Barristers. Practising in both the prosecution and defence of class actions, Megan acts on a wide range of cases including securities, competition, insurance, medical product liability and pharmaceutical class actions. She has served as counsel before all levels of court in Ontario and at the Supreme Court of Canada. 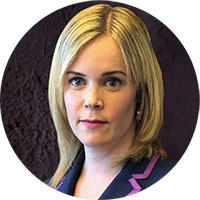 Megan appears in the Thomson Reuters 2012 and 2013 issues of the US/Canada Guide to Leading Cross-border Litigation Lawyers as a Litigation Lawyer to Watch and was named a 2012 Lexpert Rising Star, Leading Lawyers Under 40. Megan’s significant retainers include representing the plaintiff in a class action against the Attorney General of Canada alleging gender- and sexual-orientation based discrimination, bullying and harassment of female RCMP members. Megan is Co-Editor of the Kim Spencer McPhee Class Action Monitor, a reporter published by Thomson Reuters. The Kim Spencer McPhee Class Action Monitor provides bi-weekly updates on material developments in the class action practice across Canada. A regular publisher, she has also appeared as a panelist at several class action conferences.